Learn about Japan through immersing yourself in its unique culture. Take a workshop on traditional tea ceremony. A qualified instructor leads you step by step through the ritual of preparing ceremonial tea. 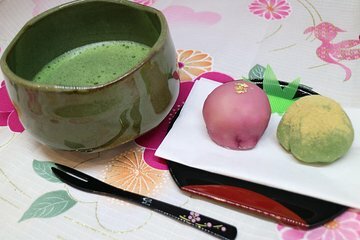 Experience well-being, mindfulness and harmony, and enjoy matcha and sweets. Come away with a new perspective on Japanese culture. Please let us know if you have any food allergies or Halal, vegan, vegetarian preferences.